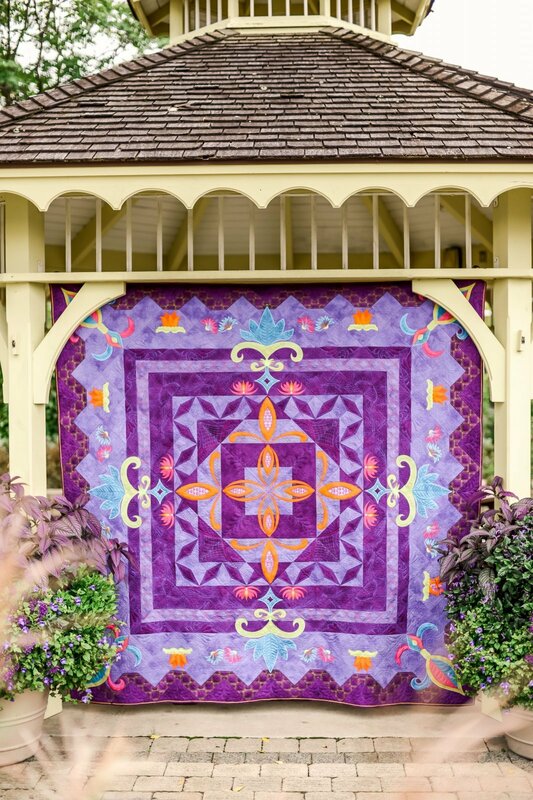 Fleur De Lis is the latest Hoopsisters Block of the Month. This Machine Embroidery quilt will meet monthly starting in April. Class will meet on the first Tuesday of each month for 5 months. It will be a lecture demo styled, but feel free to bring your machine to this 2 hour class each month. We will have an informational meeting on March 5th (FREE) to go over fabric requirements, threads, and notions needed for this project. The class fee will be $199 for the following 5 months. Sign up now or come check it out In March and decide then. Choose your fabrics, threads and notions on or before March 5th and receive 15% off your Fleur De Lis supplies.